The beer revolution in Rome tastes just as good as everywhere in the world. Most of the craft beer bars are off the beaten path. Of course, there are some in the heart of Rome, but they will be crowded and full of tourists. Not that there's anything wrong with that, but there are some hidden gems if you look for them. I have been to Rome and enjoyed many of the touristy things to do, but this trip was short, just for less than a day; and I had one thing in mind - find some good craft beer away from the tourist areas. Mission accomplished when I entered Ma Che Siete Venuti a Fà. The name is in an old Roman dialect and loosely translates to "But what is it you came here to do?" If it's drink beer, then you have gone to the right place. 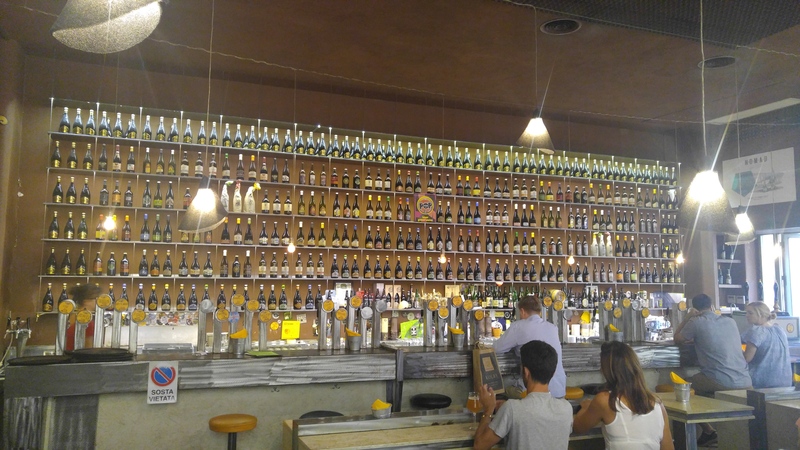 This is one of the real gems in Rome, for beer that is, with 16 taps and more than 100 vintage bottles of beer. They have one of the best vintage lists of any place I've been to so far. Most of the vintages go back 15 years but I found at least one that was dated 1977. I tried a couple during my visit. Overall, there was a good cross-section of Italian and International beer to choose from. The staff was extremely knowledgeable and friendly. 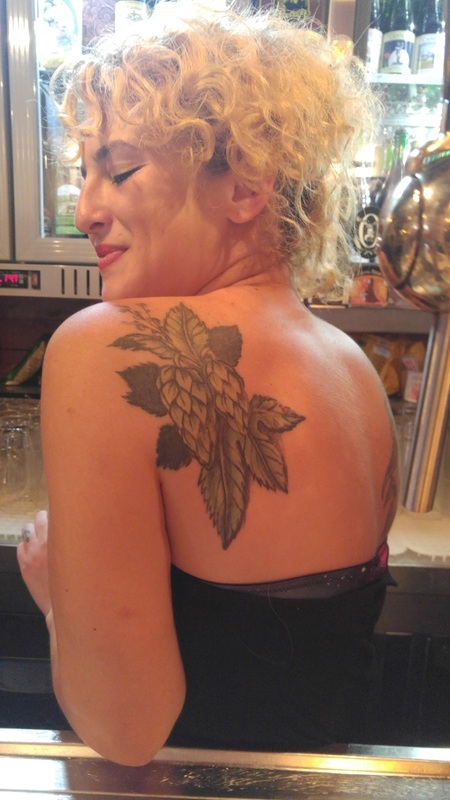 You might even say dedicated, as evidenced by the hop tattoo on the bartender shown in the picture at the top of the page. The owner, Manuele, was also very friendly and knowledgeable, as you might expect. While I was there, the owner of a Swedish brewery, Brygghuset Finn, stopped by to leave samples of his beer in hopes of future orders. I was fortunate enough to receive one of the bottles too. It was very enjoyable. No matter what the reason is for your visit to Rome, this place is a must visit when you need to quench your thirst. It has a lot of character and busy with a lot of locals as well as beer lovers from around the world. Open Baladin is part of the Baladin chain of breweries/restaurants across Italy. 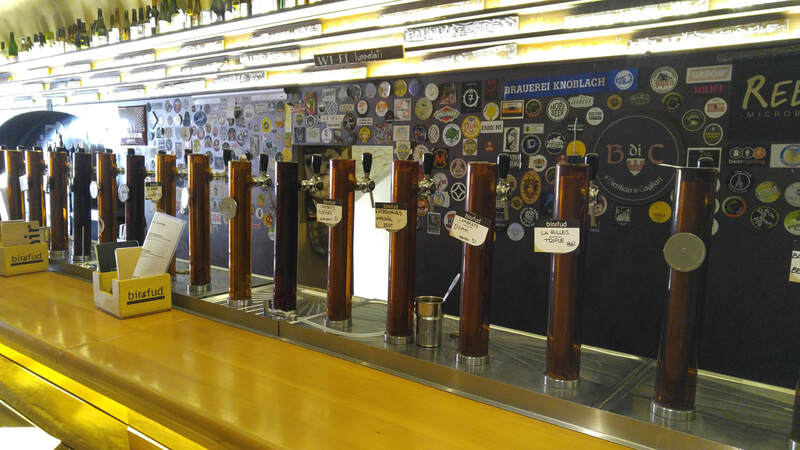 They have 40 local beers on tap, including the Baladin beers, and over 100 Italian beers in bottles along a few interesting international beers. One of those interesting international beers was 2009 Wheat Wine Ale from Smuttynose. I tried a glass but was very disappointed. They served a small pouring from an open bottle. It has lost all it's carbonation and a lot of it's flavor. After commenting to the bartender, they did open a fresh bottle and pour me a new glass, but not after some discussion amongst themselves whether they would do it or not. It's a very large bar with lots of seating. Bir & Fud is a good place to have some local craft beer and food from their Italian-style pub menu. 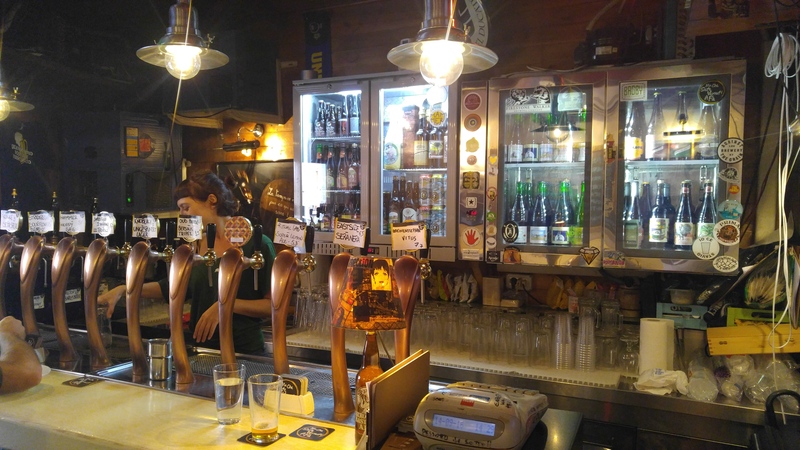 Located across from Ma Che Siete Venuti a Fà, it has 29 taps of mostly Italian craft beer along with another 6 hand pumps. Small outdoor patio with limited seating.